Experienced fighters know the importance of keeping your arms protected in battle. The Imperial Floating Elbow - Epic Dark Finish includes articulated steel armour that moves with your arm as you bend and flex your elbow. The articulated elbows feature interlocked lames for easy movement. 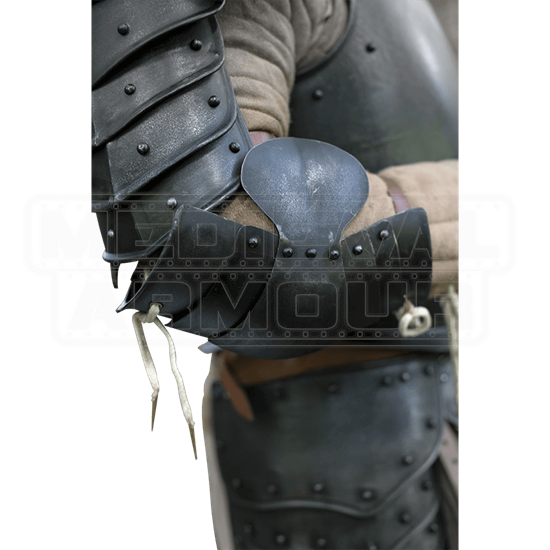 This galvanized steel elbow armour is intended to be worn over and attached to a padded gambeson for increased comfort. Top-grain leather straps help you to fasten the mild steel armour snugly around your arm. 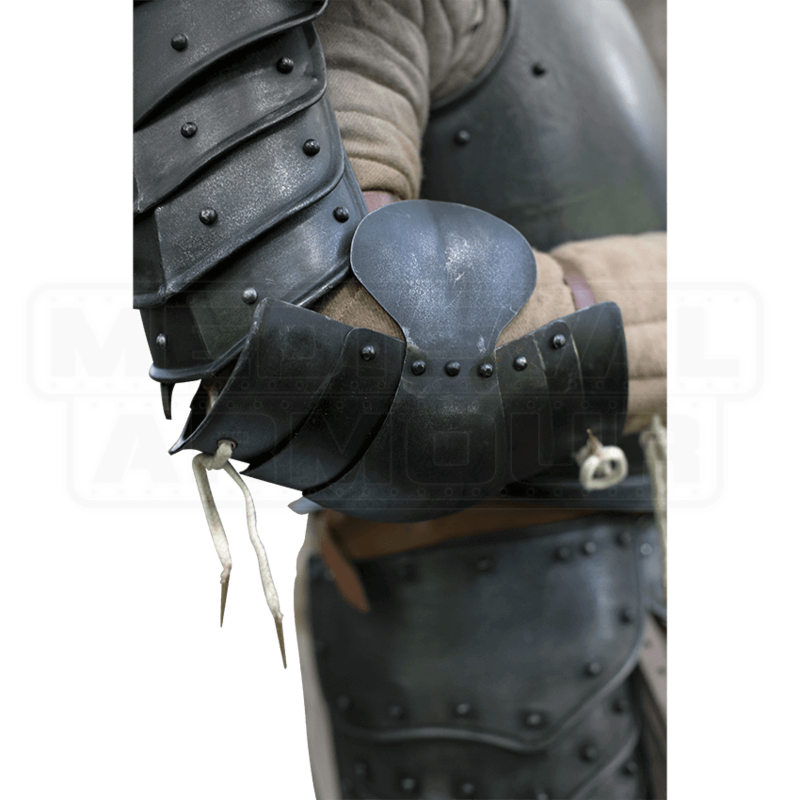 When planning for your next LARP event, make sure you are as protected as possible with the help of this darkened floating elbow armour. The darkened finish looks great and is designed to help prevent oxidation. Color variations may exist from piece to piece.